Although Steve McClaren does not have the same great history with QPR As Ian Holloway, we could make a similar statement today. We also thank Steve McClaren for doing his best in difficult circumstances. We hope his successor will be chosen after a clear process, and given clear objectives. The board needs to stop selecting names from England’s footballing past who have no track record in managing in a difficult financial environment such as QPR today faces. We want a manager capable of creating a committed, well-organised team, making the best of the resources we have. We want that manager to be given the time to develop an entertaining, committed QPR style, good enough to keep us in this league and to build on for the future. Too many games have their dates changed to suit the TV companies. The Football Supporters Federation is supporting a petition started by Tooting MP Rosena Allin-Khan calling for a scheme to ensure supporters would not have to pay more for train tickets if their fixture was changed. Don Shanks is running the New York marathon this weekend, to support three causes – Stan Bowles, who is living with Alzheimer’s, The QPR Number 10 Foundation (in support of former players falling on hardship) and the Alzheimer’s Society. Sixty-six year old Don told the official QPR website “The harsh reality is it won’t be long before Stan has to go into full-time care. His family are doing an incredible job for him but despite their best efforts it just won’t be realistic for them to look after him at the family home for much longer. The marathon is taking place on Sunday, November 4. You can follow Don on Twitter via @DonShanksQPR or on the Facebook here. 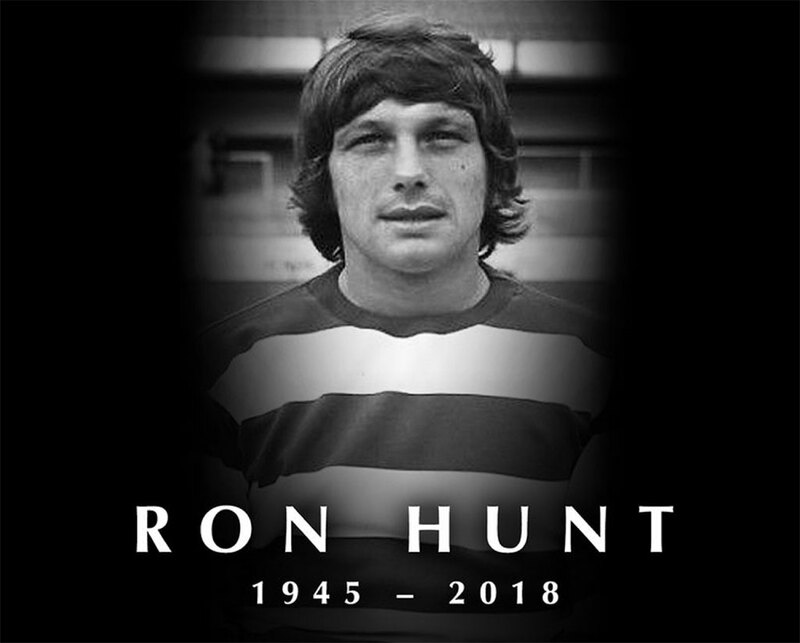 QPR1st joins with all supporters in expressing our deepest sympathy to the family of Ron Hunt. Ron came through the academy at QPR playing 255 games in a career that spanned 10 years between 1963 and 1973 playing a crucial role in the famous 1967 league cup victory. Queens Park Rangers was the only club he played for with his career sadly cut short by injury. Ron was something of a crowd favourite and will continue to be remembered with fondness by all of us who saw him play. QPR Supporters’ Trust congratulates Amit Bhatia on his appointment as chairman of the club. We hope this appointment will be a move towards a new relationship of partnership between the club and its supporters. Amit Bhatia was chair of QPR in the Community Trust from 2009 to 2016. Under his chairmanship the Community Trust thrived – it became a registered charity and developed innovative and wide-ranging projects to change people’s lives. It is now one of QPR’s great achievements. Tony Fernandes’ time as chair and co-chair of the club has been controversial and led to the current financial constraints facing the club. He was happy to tweet – which did not always clarify issues – and occasionally chatted with supporters, but was rarely able to take part in any form of structured dialogue with supporters. We would welcome more genuine dialogue between supporters and the new chairman – including meetings so all the challenges and opportunities facing the club can be discussed freely and honestly. “QPR1st, the QPR Supporters Trust notes the joint QPR-English Football League statement on the settlement which entails: A fine of £17m, QPR to pay the EFL’s costs of £3 million. A transfer embargo in the 2019 January transfer window. The club’s shareholders will capitalise £21.965m of outstanding loans. A payment schedule has been agreed between the parties which will avoid endangering the financial stability of the club, with the fine being paid over 10 years. QPR 1st is glad that this sad and extended saga has finally come to a close. The bottom line is that QPR broke the Financial Fair Play rules. Whether or not the fine was excessive and unfair, or too small (as some may say) we will leave to others. But QPR is now living in a new era of small transfer and wage budgets and living within its means. Over the past three seasons, under the leadership of CEO, Lee Hoos, QPR has indeed been cutting back. With the end of parachute payments, and no big transfer sales seemingly on the horizon, this now must continue.